Lieutenant Colonel Dana Nguyen is a 24-year military veteran and U.S. Army Family Physician. She was raised in Battle Creek, Michigan, where she enjoyed the smell of corn flakes from the cereal factories across town, and played multiple sports at Gull Lake High School. She spent her undergraduate years at the United States Military Academy focused on leadership, academic studies, and playing collegiate softball. 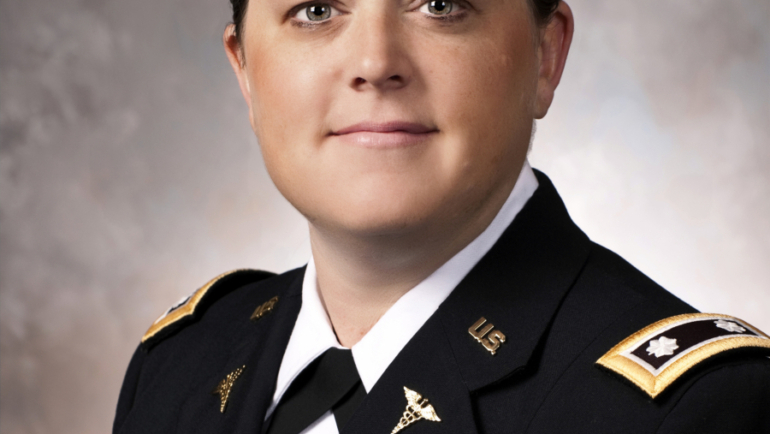 Dana earned her MD at the Uniformed Services University (USU) in 2002 and then transitioned to Ft. Bragg, North Carolina to complete her Family Medicine residency training, serving as a Chief Resident during her third year. After marrying her medical school sweetheart, Chuck, they moved to Ft. Leonard Wood, Missouri to practice full-scope Family Medicine for the first several years after residency training. Dana also served as the Chief of the Department of Family Medicine and deployed to Operation Enduring Freedom (OEF) with the 10th Mountain Division while assigned to General Leonard Wood Army Community Hospital. 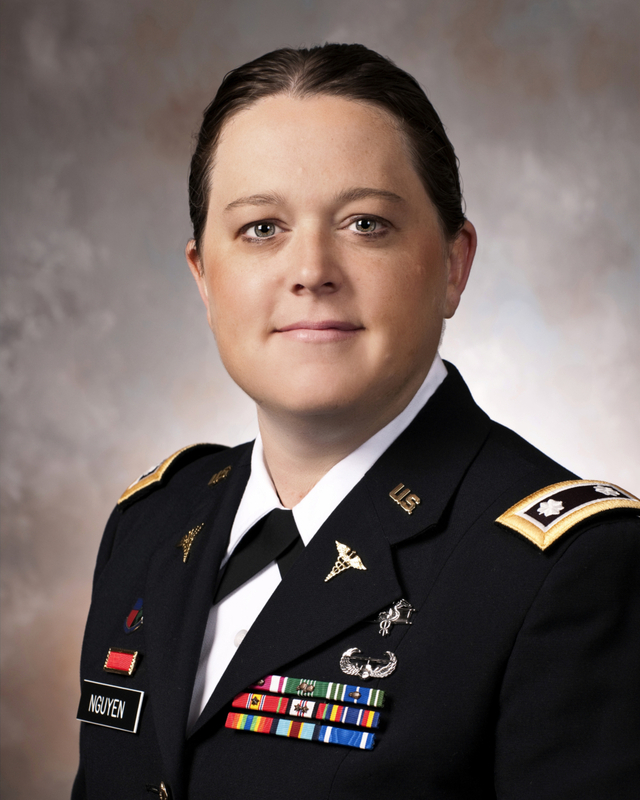 Following her love of teaching and mentoring, Dana returned to Ft. Bragg to serve for five years as the Associate Program Director in the Army’s largest Family Medicine residency program. She also completed a Faculty Development Fellowship at the University of North Carolina at Chapel Hill. Dana transitioned back to USU in 2014 where she now serves as faculty in the Departments of Family Medicine as well as Military and Emergency Medicine. She invests her time in the professional and personal development of the next generation of military physicians and in teaching about patient-centered care. Her academic research is focused in the areas of military medicine, education, and resiliency. She additionally serves on the Joint Programmatic Review Panel to the DoD Congressionally Directed Medical Research Programs, Peer Reviewed Medical Research Program. Dana is happily married to Chuck Nguyen. They have two children, Wilden (7) and Brenna (5). The Nguyen Family enjoys traveling, spending time at the beach, and a finding a good playground. Dana advises Warriors at Ease on matters related to research in the field of military medicine as well as the advancement of Complementary and Integrative Care. Dana Nguyen is a member of the United States Army. Use of her military rank and job titles does not imply endorsement by the Department of the Army or the Department of Defense.